Blending together the complexity of the mirror as an object and the idea of the self-consciousness invoked by virtual social media, the artwork Self and Other explores the idea of fusion between self and the external world. 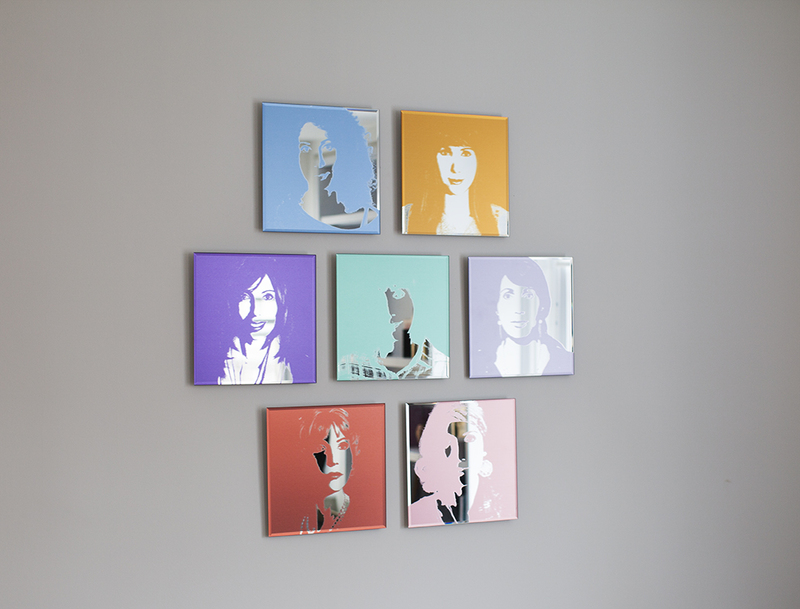 Printed on mirror tiles, colourful portraits of a diverse cast of female personas catch the eye of the viewer to him/herself and compete with the original printed forms on the mirror, playing with the idea of the images on and within and the interaction between both. The work portrays people’s tendency to focus primarily on the self. It draws a parallel with people’s predisposition to interpret others based purely on their own personal background, whether actual or imagined. We are inclined to project qualities onto the Other that do not necessarily belong to him or her but are rooted, unconsciously, in our own imagination.